The nature and location of the soul has been an issue of great debate since time immemorial. Not only philosophers, but “ordinary people” have also been confounded by questions like “What is the soul?”, “Where is my soul?”, “What role does the soul play in the cycle of life, death and rebirth?” and “Is my soul really immortal?”. In keeping with the nature of Truth to be multifaceted, the answers to these questions have also been varied. The word, soul, is often used inter-changeably with the word, spirit, and is regarded as the immaterial essence that is deathless and timeless. The nature of the journey of the soul after death and whether there is a consciousness after death are questions that many of us ponder about when we think of the possibility of a life after death. The existence of the soul is substantiated by the fact that every religion has a concept in support of the soul. This universality of philosophical views about the soul points towards a collective belief about the soul’s existence. 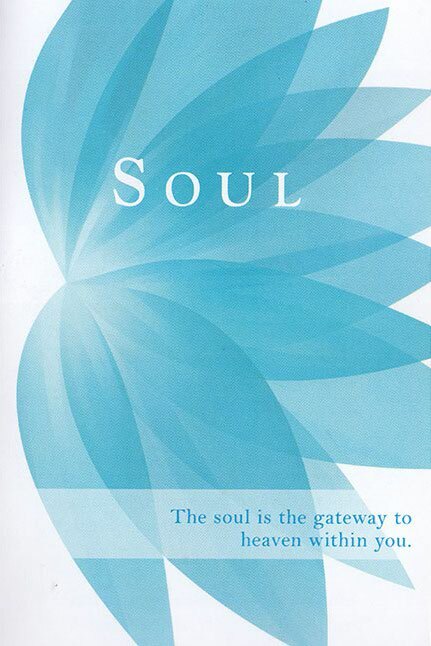 The soul is located in the 12th Chakra, one foot above the head. The activated 12th Chakra resembles a golden bud or a golden flame. Master Choa Kok Sui's course on Achieving Oneness with the Higher Soul reveals many secrets about the nature of our own beings, the nature of the soul and also guides students through the process of attaining union with their higher souls. This process of soul-realization is divided into stages. What are the Stages Your Soul Grows through? The first stage requires you to use your intellect to understand that you are spiritual being infused with divine intelligence, love and power. Through Soul Affirmation you are made to realize that you are not your body, your emotions, your thoughts or your mind. You are a soul. Once you realize that you are a soul, the second stage allows you to experience yourself as the soul during meditation. With experience, you feel a detachment with your physical body as you meditate on your soul. Advanced practitioners may even have out-of-body experiences and achieve mobility in the physical and inner universes as beings of light. The third stage is an initiation into the process of Arhatship. At this stage your incarnated soul achieves unity with your higher soul. There is a feeling of oneness not only with other human souls but various kinds of souls as well. Feeling one with others also helps you realize and appreciate the divinity in every creation. The fourth stage is referred to the stage of God-realization which is basically the achievement of oneness with your Divine spark. An experienced yogi achieves communion with the Paramatma and can claim to be a true Divine Incarnate, one with the Father and one with all. This course provides illumination and accelerates the process of becoming one with your higher self, whether you call it your Christ, Shiva, Krishna or Buddha nature or the activation of your Pentacostal fire. Ancient secrets that have been shrouded in mystery are unveiled, including the methods for awakening the Kundalini Shakti through the Inner Caduceus, the power of the Blue Pearl and the knowledge of the Silver Cords and your soul’s timeless journey through incarnations. Soul realization thus helps you understand your true nature and transcend towards achieving oneness with your higher soul.